Should you sacrifice flavor for looks and vice versa? Let me explain: I personally do not like the taste of buttercream – I find it too sweet and too heavy. But it pipes so prettily! My absolute favorite (which comes down a treat with friends and family too) is cream cheese frosting. 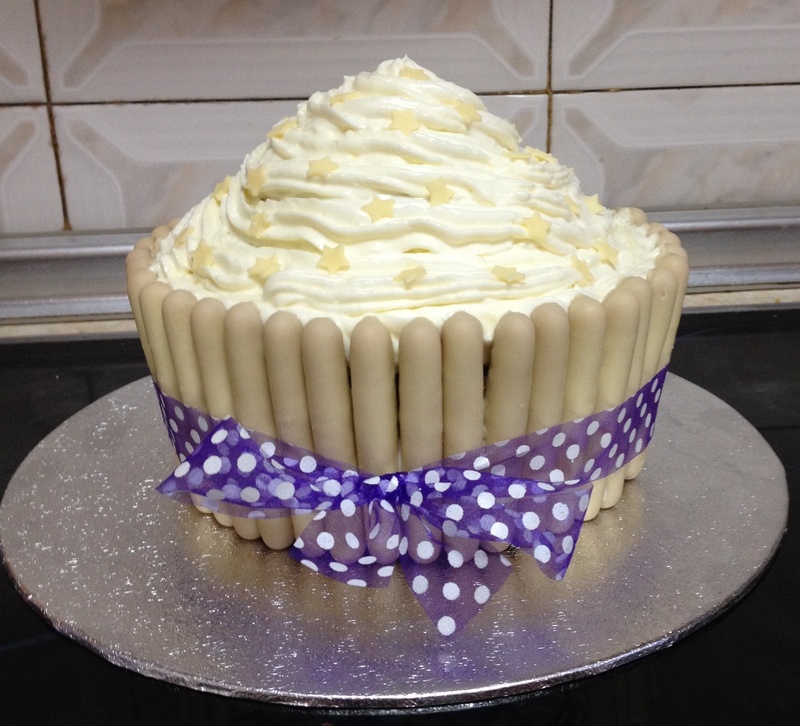 But I have so far not found a recipe which gives me the proper piping consistency for a (professional) nice finish. I am constantly on the lookout and keep experimenting but the fails prevail until now. I honestly hope it is not just me who ends up with an extremely runny cream cheese frosting more times than willing to admit. 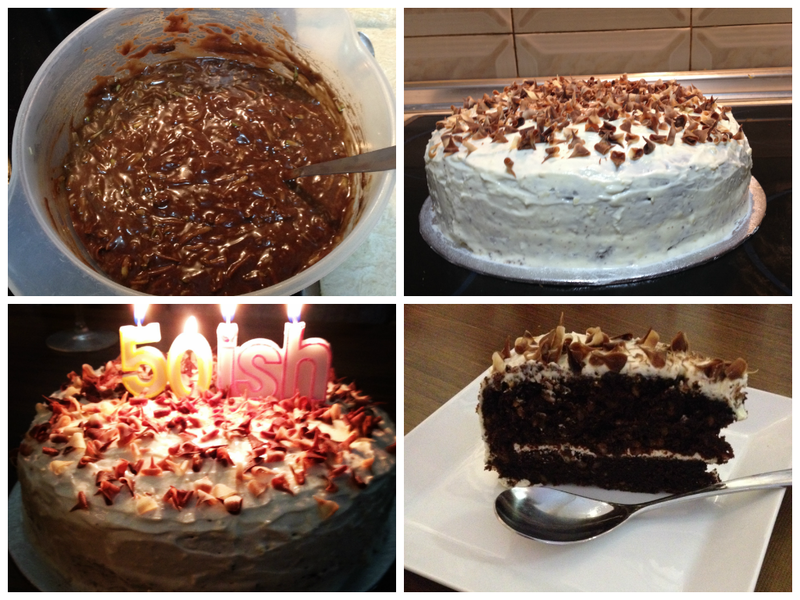 Just last night I was trying out a new recipe I came across which promised nicely piped frosting. But I failed again – or my basic hand mixer which only has slow and fast let me down (I like to believe it is the latter otherwise I end up doubting if I am any good in the kitchen at all). As I write this, an emergency (recycled) cheesecake is in the oven – I didn’t have the heart to throw yet another bowl of runny icing, after my ridiculous cream cheese quest from the previous post, let alone all the nice ingredients which went is, as well as me spending plenty of time trying to make/fix it. So I need my dear readers’ advice – pretty please, share it in the comments or write me an email. What would you do? Try out new cream cheese frosting recipes until you find a fool-proof one or settle for buttercream which isn’t tasty but looks good? Help! In a deep bowl, mix the flour, sugar, baking soda & powder, salt, cocoa and cinnamon. Mix well until it is all blended. In a separate bowl, whisk the eggs lightly. Add to dry mix together with the oil and whisk everything together. If the dough is too thick, you can add a little hot water but I left it thick as the courgettes add plenty of moisture afterwards. Grate the courgette and add it to the chocolate mix. Stir in the chopped nuts. Butter and flour the sides of a 9-inch cake tin, butter and line the bottom of it. If you like, you can bake the 2 layers of the cake in 2 tins: just split mix in 2 but I like to bake one and cut it into 2 slices. Bake in a preheated oven to 180 degrees Celsius for about an hour or until a skewer comes out clean. Split cake in two. Prepare THIS cream cheese frosting. Spread plenty between layers and ice the cake with the rest. Decorate as desired. Strawberries have started popping up at the supermarket – joy! Especially for the converted cake eater I share most of my life with (besides when I am in the kitchen when he knows well he is to leave me alone!). Now, when we first started dating, he would never eat cake but would demolish any quantity of chocolate chip cookies you are stupid enough to give him access to. Whether the smells coming out of the oven have enticed him over time or my constant requests to try this and that and tell me if he likes it have changed his mind, I don’t know. But recently he has started voluntarily eating cake. Not all types, of course, but as he says: baby steps. 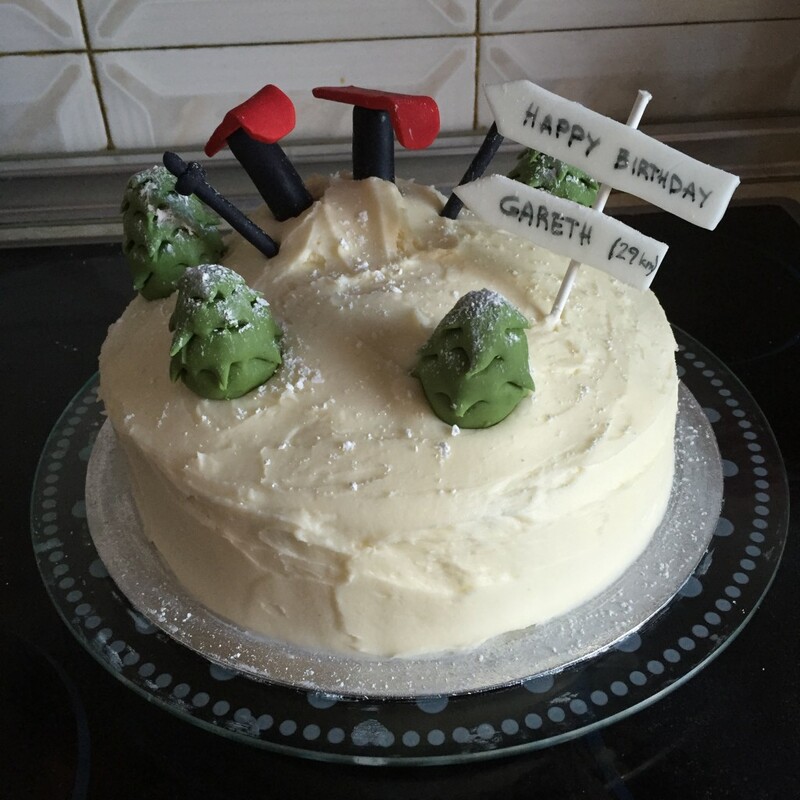 Seeing as it was his birthday yesterday (and his work colleagues had ‘gently’ hinted they are expecting cake, those greedy chops! ), on Saturday I asked him what he’d like me to bake it. It didn’t even take 3 seconds for him to decide he wants his favorite strawberry and white chocolate cupcakes. I owe the recipe for the base to the Marks & Spencers book Sensational cupcakes. The addition of the strawberries and chocolate was a lucky hunch which has proven to be a success. I did two batches of the batter – one I transformed into a Giant, and the other turned into actual cupcakes. 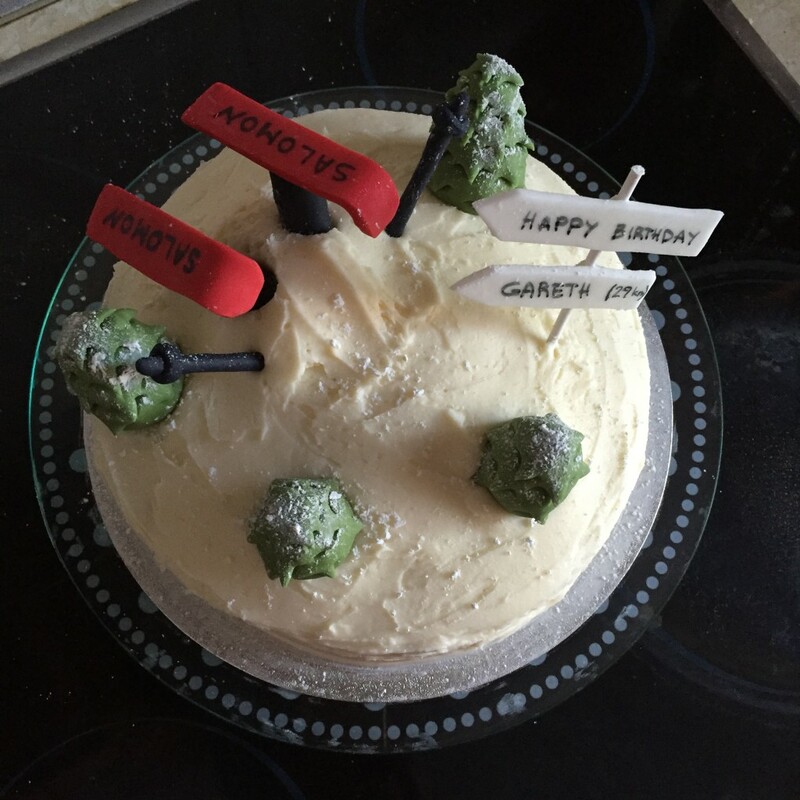 So behold, first a picture of the finished Giant which birthday boy took to work, and then the recipe! Preheat oven to 170 degrees Celsius (fan oven: 150 degrees) or gas mark 3 1/2. Mix the milk, egg whites and vanilla together in a medium sized bowl till fluffy and set aside. In a large bowl, mix the dry ingredients to blend. Add the butter to the dry ingredients (I prefer to melt it before as it makes it easier, especially in winter when room temperature is significantly lower) and half the beaten eggs. Mix slowly till everything is moist, then beat vigorously for 1 minute. Add the remaining eggs and beat again. Add chocolate and strawberries. 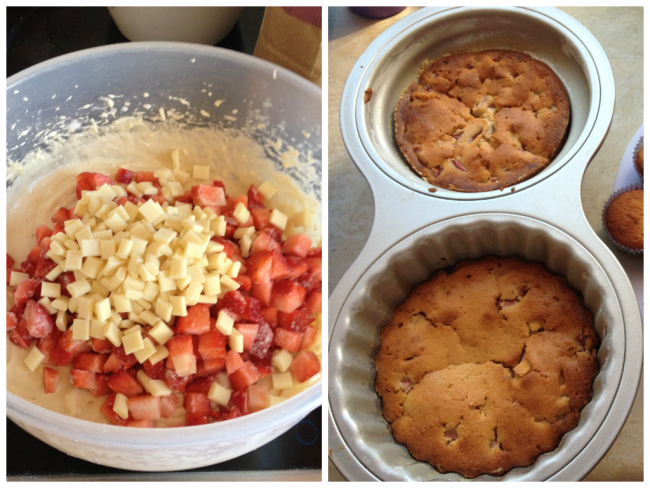 TIP: Gently cover the chopped strawberries with a little flour – this will keep them from sinking to the bottom. 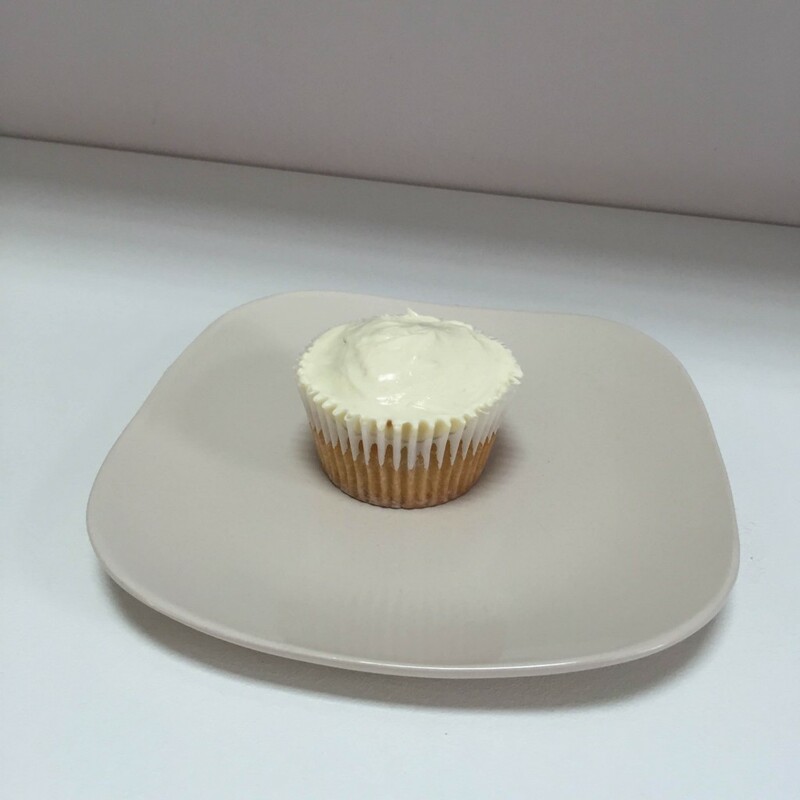 Spoon the batter into cupcake cases which you have put in your cupcake tray (or fill kind of equally in a Giant cupcake mold which you have first buttered then sprinkled with flour) – you would need to fill the cases 3/4 as these won’t rise as much as others. 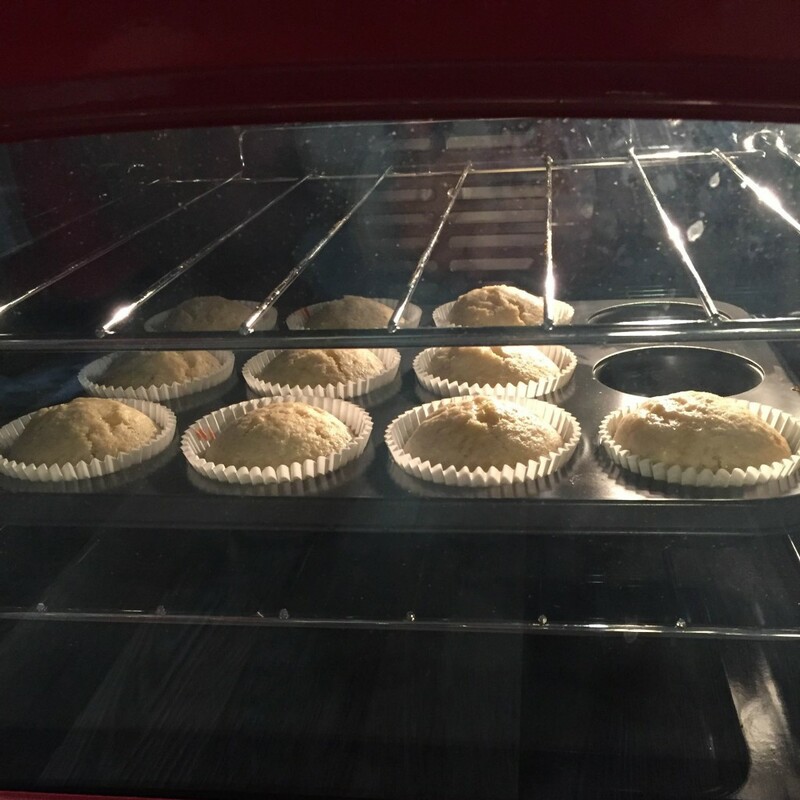 Bake cupcakes 25-30 mins or Giant cupcake about an hour or even sligthly more, till they are golden and a skewer comes out clean. While the cakes are in the oven, beat the cream cheese on a high speed till smooth yet fluffy (2-3 minutes). Add vanilla extract and beat for a bit again. Then put the mixer speed down and slowly add icing sugar until the mixture has the proper frosting consistency (or you think one more sugar dust and you risk diabetes). Leave in fridge for at least 40 mins to set. Once the cakes have cooled down, take the frosting out of the fridge and decorate. Voilà!